CoiNel develops custom embedded software for a wide range of microcontroller (MCU) and digital signal processors (DSP). Our engineering experience includes but not limited to ARM7, Cortex-M0, Cortex-M3, ARM9, AVR, AVR32, MSP430, Microchip, Renesas, Fujitsu.Firmware Development. A large amount of successfully completed embedded software projects allows us to provide high quality embedded software development outsourcing services. Our engineers possess extensive knowledge of hardware, operating system, low-level diagnostic and performance tools, giving us an edge over competition. OS Porting / Customization /Enhancement Services. RTOS: uCOS, ThreadX, TNKernal, FreeRTOS. Feature enhancements for existing systems. Development of Board Support Packages and Device Drivers for various reference designs or new BSPs for new processors/Board. Enhancement of BSP software for specific boards. Porting of Applications onto different operating systems. Porting from 8-bit/16-bit controllers to 32-bit microprocessors. 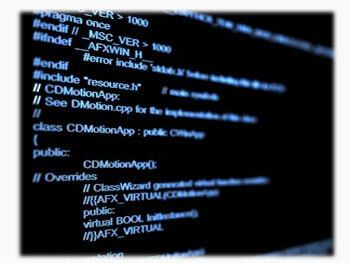 Complete Software Application Development and Integration. Development of device drivers, protocol stacks, system interfaces (PCI/I2C/I2S/SPI/SSP/UART/RS485/MODBUS, Ethernet, LCD STN/TFT, USB, WiFi, Bluetooth, Zigbee), memory (NOR/NAND/Dataflash Flash, MMC/SD, FRAM/NVRAM/SRAM, EEPROM, DDR/DDR2/SDRAM), on-board diagnostic tests. Logical and physical drivers supporting various layers of protocol stacks for embedded applications. Codecs: MP3, WiFi, GSM/GPRS, ZigBee, RFID, USB, Ethernet, DSP Algorithms. System Level Testing, Application Testing, Middle-ware Testing, BSP & Driver Testing. Our embedded expertise covers application development and optimization over a wide range of platforms. Competencies in optimization of code and real-time multi-threaded application development allows us to optimize software against speed/ memory limitations and real time performance requirements for wide range of products. CoiNel has experience in designing GUI's for various embedded systems. The expertise gained has aided the software team in using open source libraries like EmWIN, GTK, FLTK and various scripting languages for developing a range of GUIs for embedded systems. These libraries are used to develop a Graphical User Interface for normal LCD displays and touch screen interfaces.